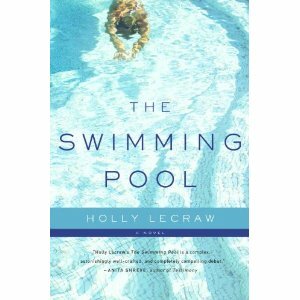 Holly LeCraw is a first-time author to watch. She’s written quite an unpredictable page-turner. The Swimming Pool contains a plenitude of secrets that could have devastating effects on all involved. The setting: Cape Cod. Siblings Jed and Callie take some time off to stay at the family’s house on the Cape. Jed leaves his job in Atlanta and Callie leaves her husband back in Greenwich, Conn. Callie has two young children and her husband works in New York during the week. The story involves intricate family secrets that connect two families in rather unexpected ways. Both Callie and Jed have many questions and unresolved feelings toward the deaths of their parents. Their mom Betsy was killed at her home in Atlanta and the case remains unsolved. Their father also died under mysterious circumstances—most likely a heart attack—at the wheel of his car. LeCraw deftly unravels the past and mixes it with the present through a riveting narrative style. Jed finds a bathing suit boxed up on a shelf in the attic and recalls a beautiful woman named Marcella, an acquaintance of his parents. He concludes that his father was having an affair and when he travels to Connecticut to speak with Marcella, he ends up engulfed in a fiery relationship with her. Why I waited so long to pick up and read this book, I have no idea. When people want suggestions on great summer reads, I would absolutely recommend The Swimming Pool. This entry was posted on August 20, 2010, 13:32 and is filed under Books. You can follow any responses to this entry through RSS 2.0. Both comments and pings are currently closed.